The renewable energy industry has welcomed the signing of the long-waited power purchase agreements (PPAs) worth about R58 billion. 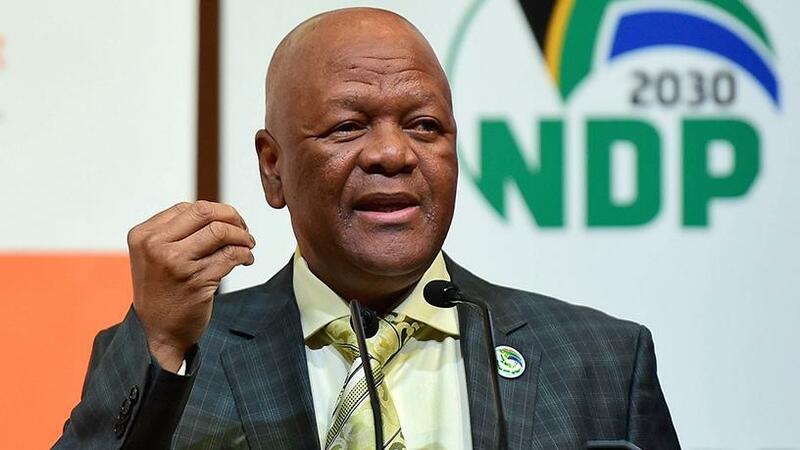 This afternoon energy minister, Jeff Radebe, finally signed the outstanding 27 renewable energy projects with independent power producers. However, the signing did not go without any drama with reports saying the ceremony, which was supposed to take place at 9:30am, was delayed by some hours with the officials ironing out some issues before putting pen to paper. The signing process was enacted by the Department of Energy and the ceremony itself was presided over by Radebe. The ceremony marked the conclusion of 27 PPAs under Bid Window 3.5 and 4 of the Renewable Energy Power Producer Procurement Programme (REIPPPP). The signing of these deals had been delayed for some years much to the chagrin of the renewable energy industry. In a last ditch attempt to halt the signing of the deals, trade union Numsa had applied for an urgent court interdict against the signing of the contracts on 13 March. Numsa's main concern was the signing of the PPAs would result in massive job losses particularly in the coal industry. However, the application was thrown out by the North Gauteng High Court last week. Following the signing, renewable energy industry body, the South African Wind Energy Association (SAWEA) said government has today re-confirmed its commitment to the renewable energy sector and will continue its intended partnership with the private sector in mutual pursuit of diversifying SA's power mix in support of energy and economic security. The conclusion of duly procured PPAs signal a reawakening of SA's REIPPPP, says SAWEA, adding that the programme was born out of government's vision for an expansion of SA's energy mix to include renewable power from independent producers with a range of clear developmental imperatives. The REIPPPP has been recognised as a winning public-private partnership model and the achievement of this final step in the duly completed procurement process represents an important milestone for good energy governance in SA, SAWEA adds. "We welcome the Department of Energy's determination to unlock rural development and much-needed jobs particularly in the construction and manufacturing sectors, to provide assurance to the employees of the Industry and to regain investor confidence," says Brenda Martin, CEO of SAWEA. Fellow industry body, the South Africa Photovoltaic Industry Association (SAPVIA) also welcomed the signing of the PPAs. SAPVIA chairperson Davin Chown says: "It has been a long drawn out process to prove to South Africa, investors and the entire energy community that renewables have their place and role to play in a rationally decided energy mix." SAPVIA says the signing of these PPAs will indeed boost and revitalise long-term investor confidence, both local and international investment and more specifically job creation and retention in this market. It adds that R58 billion of investment, more than 61 000 jobs and 2 305MW of energy added to the mix is only the beginning of what this industry can achieve. "Renewables has been able to upskill South Africans, develop a new set of skills for the future of this country, for a vibrant energy sector which is considered a sunrise sector, will deliver benefits to all South Africans for many generations to come," Chown concludes.